I love a bit of Wagamama's food and it is one of our regular weekday evening meetups at the Southbank Centre near Waterloo. This year the Wagamama Lounge returned to Bestival with a selection of delicious dishes and awesome Djs. They asked their fans to record their Bestival experience to make Wagamama's official Bestival video! Lots of my friends attended Bestival this year so here is your chance to try and spot yourself in this video! For news, competitions and more visit their Facebook page. 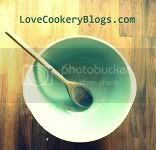 Welcome to my blog and picture sphere about my food, craft and photography adventures. All photos are my own or they will link to the original. Please ask before using any of my images. Fab for healthy snacks at work!